Why Water Purification is Essential? What are The Benefits of a Water Purifier? Why SUNSHINE RO Water Purifier is Best For You & Your Family? RO stands for Reverse Osmosis Process. 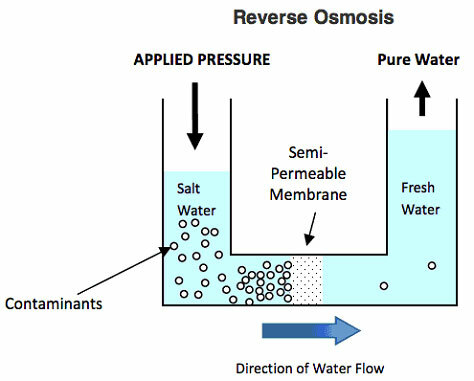 Reverse Osmosis works by using a high pressure pump to increase the pressure on the salt side of the RO and force the water across the semi-permeable RO membrane, leaving almost all (around 95% to 99%) of dissolved salts behind in the reject stream. The amount of pressure required depends on the salt concentration of the feed water. The more concentrated the feed water, the more pressure is required to overcome the osmotic pressure.